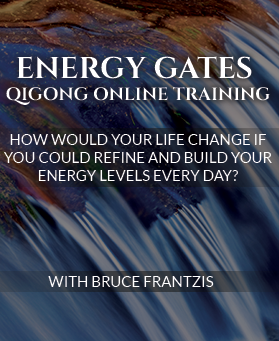 Bagua zhang (Ba gua chang/Pakua chang) is an internal energy art even more ancient than tai chi chuan. Bagua zhang was developed 4,000 years ago in Taoist monasteries primarily for health and meditation. 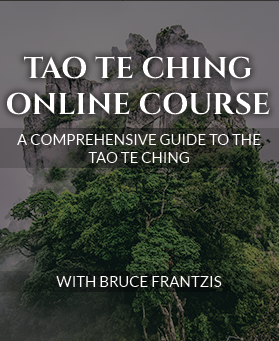 In the last several hundred years, bagua zhang has become known as a powerful internal martial art, but it is equally effective as a health and moving meditation practice. The Energy Arts program emcompasses all three applications of bagua zhang: martial arts, health and meditation. Bagua is also a container for the 16 neigong or “internal energy components,” which is the basis of all Energy Arts programs. Change is at the heart of life. Bagua zhang practice is about learning to flow with change rather than against it. If you can Master the Art of Change, you will become capable of overcoming obstacles in your life and allow happiness and joy to emerge from within your being. Whatever your interest, bagua is an amazing practice and one of the greatest gifts from Taoism. Hsing-i could be considered the most direct and yang practice of the internal martial arts, primary composed of five basic first movements and a core standing practice called Santi. Moreover, hidden within the apparently linear techniques of hsing-i is a significant amount of very small, almost unseen, complete circles that are normally lacking in external martial arts. Rather than using muscular tension or anger for power, hsing-i focuses instead on utilizing relaxation, chi (qi) and stillness of mind to accomplish the pragmatic goal of winning in a confrontation. Hsing-i has five corresponding forms/fists that are each linked to the five elements. Hsing-i first form/fist is called Pi Chuan (translated as chopping/cutting fist). Pi Chuan associated with the Metal Element.The other four fists are: Tsuan Chuan (drilling fist) associated with the Water Element; Beng Chuan (crushing Fist) associated with the Wood Element; Pao Chuan (pounding fist) associated with the Fire Element; and Heng Chuan (crossing fist) associated with the Earth Element. Hsing-i chuan also has 12 animals forms that are linked to the martial applications. Hsing I Chuan has been my central focus since the 80’s, when I studied with the late Kenny Gong in New York’s Chinatown. Having learned Pi Chuan and San Ti already from Kumar, I progressed quickly and became strong and healthy , to the point where I have survived over 30 years as a bouncer and manager in some of NY’s largest nightclubs. In this industry, you are tested on a daily basis, which makes it easy to tell if your practice is effective. This is a great practice for anyone who actually uses his/her skill in daily life, especially if you want to remain healthy and sane in this crazy world of ours.